China’s investors and markets are becoming increasingly important to Israel’s economy, and in particular to its booming high-tech industry. The first IPO (initial public offering) of an Israeli high-tech company on a Chinese stock exchange, Hong Kong, is expected within the year and Chinese investments in Israeli high-tech venture capital approached $1 billion in 2016, industry experts say. “The Chinese stock exchange market will become another very viable option for Israeli companies looking for public funding,” if the first IPO goes off successfully, Eli Tidhar of Deloitte Israel, told CNBC. Tidhar heads what Deloitte calls its “Israel-China corridor”. Israel has laid out the welcoming mat to Chinese companies and investors who may face more troublesome regulations and scrutiny elsewhere. Hardly a day goes by without another Israel-China initiative being announced, whether it’s a new Israeli tech incubator in China, new investments, joint ventures, trade conferences or delegations. In May this year, another audit firm PwC led a delegation of Israeli companies to Hong Kong to explore the possibilities of listing on the stock exchange. Deloitte’s Tidhar says that a sea change is taking place among Israeli companies looking for funding. Israeli high-tech VC (venture capital) companies raised $500 million from Chinese investors in 2014 and $700 million in 2015 and the amount keeps growing, according to Tidhar. This view is echoed Dorian Barak, who heads the Israeli arm of Kuang Chi, one of the few Chinese conglomerates that has so far actually set up a permanent local representation. Israel’s venture capital landscape and its exits were until now largely a matter of Western money, Barak said. But that’s about to change. “The rise of China and China’s adoption of an outward looking policy of investments and cooperation has the opportunity to have as much of an impact on the local economy as did the massive capital influx from chiefly the United States in the (1990s) and the first decade of the 21st century,” Barak said in a telephone interview. 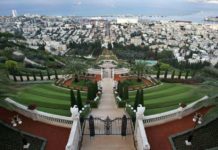 Kuang Chi last year set up a $300 million fund, particularly for smart city investments in Israel. It has so far, among other companies, invested in machine vision company eyesight Technologies. Large chunks of Israel’s infrastructure projects, including ports, railway lines and tunnels, are being carried out by Chinese companies these days. And some flagship Israeli companies have been acquired by Chinese conglomerates, such as ChemChina’s acquisition of Adama and Bright Food’s takeover of Tnuva. Reuters earlier this year reported that in 2016 total Chinese investments in Israel jumped tenfold to $16.5 billion. 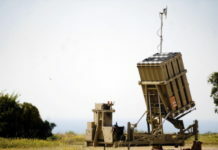 But in the high-tech sector, this has not yet translated to the same massive presence of Chinese conglomerates that Western companies have in Israel, whether in R&D (research and development) centers, production or representative offices. Kuang Chi’s Barak said that Chinese companies are very slowly coming to the realization that there’s an added value to a local presence. He’s getting constant inquiries from Chinese local government and private investors. “When you see Chinese names on the sides of buildings in Herzliya Pituah (near Tel Aviv) as you currently see American names, you’ll know the Chinese investors have really arrived and the Chinese strategics have arrived en masse. There’s a long way to go,” said Barak. But it’s getting there, is the consensus. One company that has seen Chinese investment is intelligent search company Twiggle. It’s received backing from the likes of e-commerce giant Alibaba and MizMaa – a fund specializing in Chinese investments in Israeli high-tech. CEO and co-founder Amir Konigsberg, said that for Twiggle, as for many other Israeli companies, the ties with China are not merely about getting finance. Help with market access is of much greater importance. “Not disregarding the growth in other markets, such as the U.S. and Europe, in terms of e-commerce China and Asia are very dominant markets,” he said. One potential adaptation to be made was in the differences of expectations that sometimes occurs, said Denes Ban, head of the Asia desk at Israeli high-tech crowdfunding firm OurCrowd. Those expectations center around the tension between getting funding and getting access to Chinese markets. For OurCrowd, Ban is very excited about the emerging interest of large Asian, including Chinese, financial institutions in getting their clients a piece of the pie in the Israeli VC market. “We signed a deal in Singapore with UOB, Shanghai Commercial Bank, Reliance India, these are some of the biggest institutions that are looking to offer these venture capital products to their clients,” said Ban. 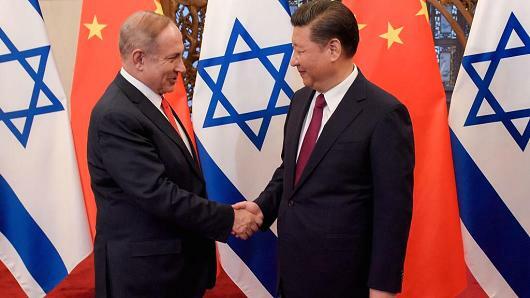 He, like others interviewed by CNBC, sees one crucial Israeli advantage to attracting Chinese investment, apart from Israel’s start-up nation image: an openness to Chinese investors where the U.S. and Europe are getting pickier. 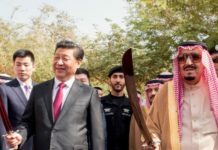 Previous articleWhy Do Chinese Reject Middle Eastern Refugees?